It's playtime! Who wouldn't want to have this colour pack? The Scheepjes® Catona colour pack is definitely a must-have for every crafter - containing a full set of all 109 colours of our 'Cutie Pie' 10 gr. skeins, this pack is ideal for picking colors, planning projects and perfect for multicolored projects like mandala's, amigurumi and small accessories. 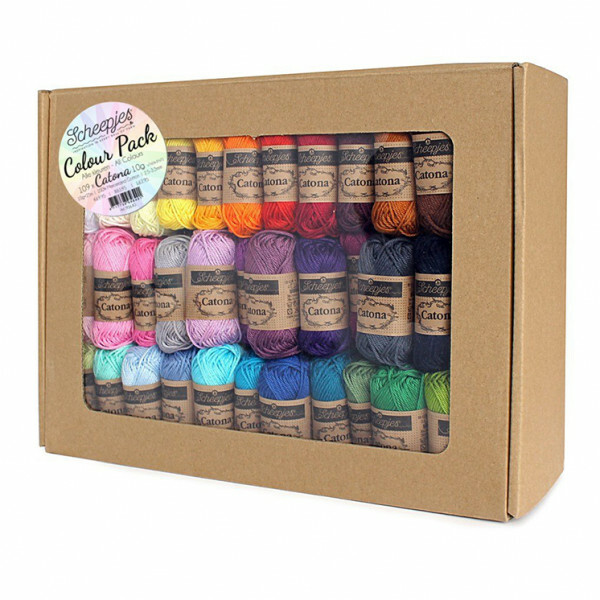 Make these boxed 'Cutie Pie' Catona skeins part of your collection! Looking for the single skeins of 50 grams?